Agnes Nieuwenhuizen at the Centre for Youth Literature’s celebration of 21 years of innovative youth literature programming. 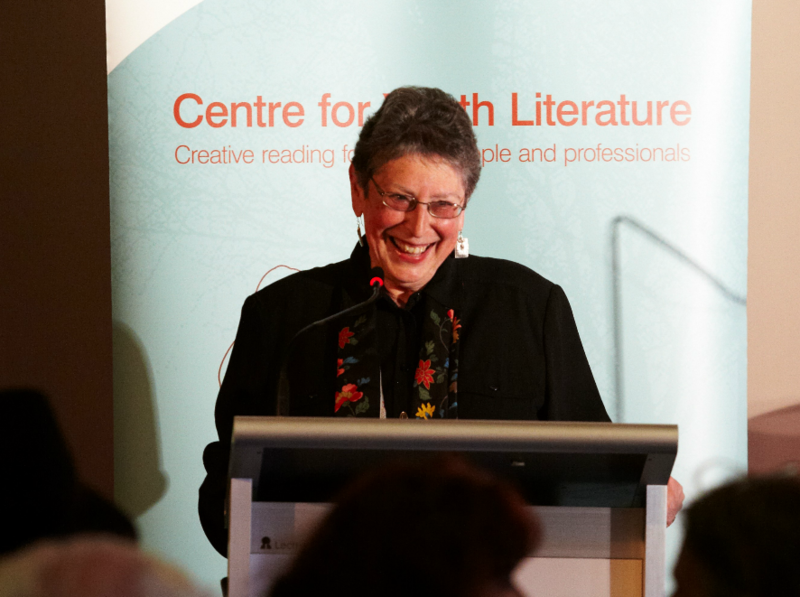 ‘State Library Victoria and the Centre for Youth Literature community was saddened to hear of the death of Agnes Nieuwenhuizen late last week. We asked Lili Wilkinson – as an author, former colleague and one-time attendee at CYL programs – to write a guest post. Agnes was a tireless advocate for YA literature, and for young readers. She founded what is now known as the Centre for Youth Literature in 1991, established the Melbourne Writers Festival Schools Program, published seven books on young people’s literature, and was much loved and respected (and sometimes feared for her forthright approach) by authors, publishers, young people and those who work for and with them. I first met Agnes in 1992, attending my first CYL event at age 11 – a Bookgig with Isobelle Carmody. That was the day I knew I wanted to be an author. I joined the CYL team in 2003, and was grateful to work alongside Agnes until her retirement in 2005. She was my friend and mentor – she liked me because I wasn’t scared of her, and we had many a heated debate about books and ideas. She fostered my passion for YA literature, and my commitment to supporting and advocating for young readers. She was a champion for young people and their rights, for their literature, and for diversity, and I’m honoured to be one of the many people continuing that good fight. I am not alone in my gratitude – there are countless writers and readers who owe so much to Agnes and to her legacy. She was the most fierce, fearless woman I’ve ever known, and Australia’s rich YA landscape wouldn’t be what it is today if it hadn’t be for her. Our thoughts are with Jackie, Max and Agnes’s grandchildren. Lili Wilkinson is an award-winning author of YA novels, including Scatterheart, Pink and Green Valentine. She established Inside A Dog, the Inky Awards and the Inkys Creative Reading Prize at the Centre for Youth Literature, State Library Victoria.